Our Coaching Curriculum and Certifications are offered to anyone who would like valuable and pertinent information on how to be a better coach in any arena. Using the practicalities of NLP and wrapped around partical information to build rapport and empathy, this curriculum can launch you into the coaching arena, serving CEOs, corporate teams, families and individuals. There are modules that focus on specifics of needs issues that make this curriculum the go to training for everyone. Completion of Level One Training earns you the certification as a Coach and Advocate with the CFC, a free listing on the CFC website and referrals from our clientele and call in requests. Book One of the training is "The ABC's of Coaching: Advocates, Benefactors and Champions." This is a three day training that covers the basics of coaching and what coaching isn't. You will develop a fundamental practical knowledge of communication, empathy, intuitive skills and the spiritual components of coaching. To support these ability, you will be provided with various tools to help yo connect deeply with the NEEDS of your clients, and a vast selection of tools to help you to help them. You will also be provided with valuable resources of personality profiles and how to utilize them as a basic coaching skill. Completion of this training will earn you the CFC certification that is verifiable and a place on the CFC website for confirmation and referrals. Continuing education is offered and required for maintenance of this verification and referral service. Book Two of the training is "Eloquent Communication Quotient: The Highly Developed Artistry of Person to Person Connections". This is a three day training that focuses on the NLP structures of communication. Almost everyone will agree that what we say to others is important. We are reminded that the “power of the word is mightier than the sword.” HOW we say it is just as important, if not more so. Arguments, disagreements, and stress in relationships are often caused by the language patterns we use rather than the actual meaning of the words themselves. This book “decodes” everyday speech patterns. We can determine the way we process information, how we communicate with others and, even more importantly, the patterns OTHERS use to gather information, process it, remember, and verbally communicate with us. When you understand and use their patterns, people will actually hear what you are saying. No guessing, no assuming, and no misunderstanding! Take the mystery out of communicating with someone who never seems to be on the same “wave-length” as you. This is the core foundation to the coaching curriculum and certification that is endorsed by the Council of Families for Children. 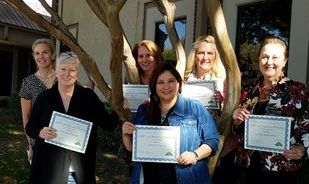 On November 5, 2017, CFC launched our Coaching certification program by training and certifying our first class of trained professionals. 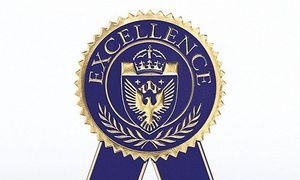 Overseen by our ED and Head Professional Coach, Deborah Rose; each individual was carefully chosen and trained and received the seal of approval from Ms, Rose personally and the CFC, professionally.